Here you will get android json parsing from url example. First fetch json string from url. 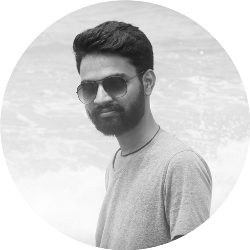 Parse the json data and display in listview. The data contains a json array with some fruits name as shown below. 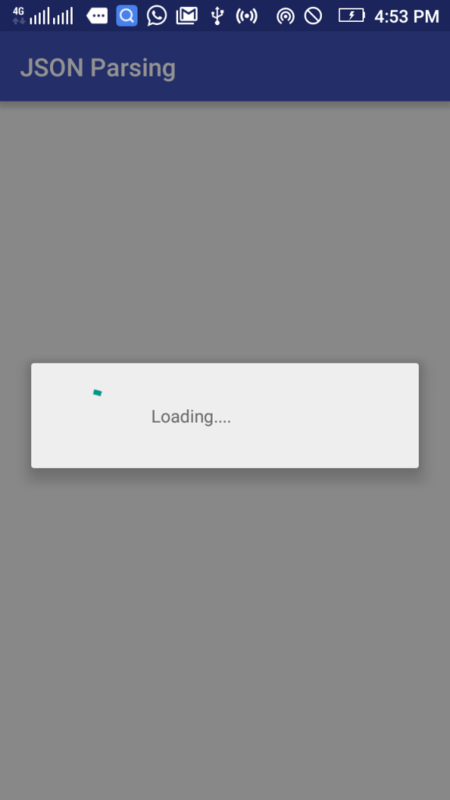 Create a new android studio project with package name com.jsonparsing. As we are fetching data from internet so we have to add internet access permission. Add following line of code in AndroidManifest.xml file. I am using volley library in this example. It is a network library that is used to fetch data from server or internet. So add it to your project by adding following line of code in app level build.gradle file under dependencies section. After that sync the project. The following code is responsible for fetching json data from url in the form of json string using volley library. When data is fetched successfully then onResponse() method is called. If there is any error while fetching data then onErrorResponse() is called and an error message is displayed in toast. After creating the volley request we have to add it to request queue. Now comes the parsing part. The parseJsonData() method contains the code to parse the json string. First json string is parsed to json object. From this object a json array with name fruits is fetched. Now each fruit is fetched from json array one by one inside loop and added to an arraylist. 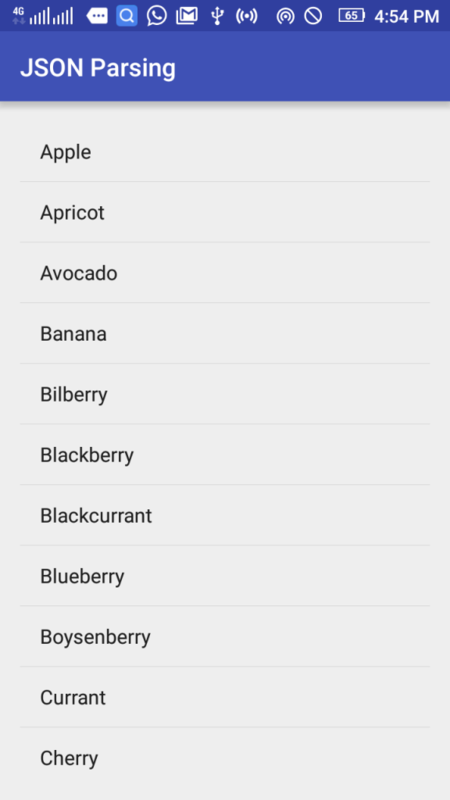 Finally this list of fruits is assigned to listview using an adapter. Below I have shared the full source code. You can ask your queries related to above android json paring from url example. Absolutely the best tutorial about json. What if i only want to get an item form an array? what must i do? please help! Great Tutorial Keep the Good Work.